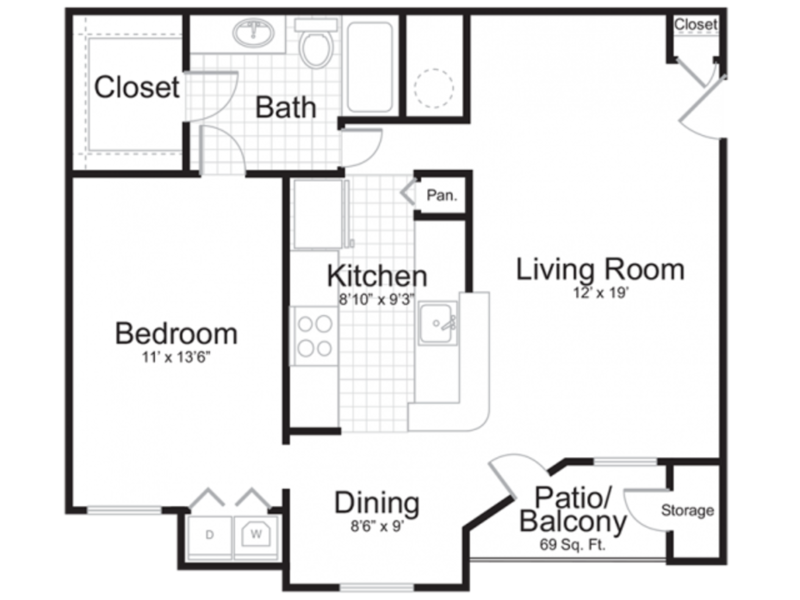 The Pointe at Crabtree provides spacious floor plans suited for every need. 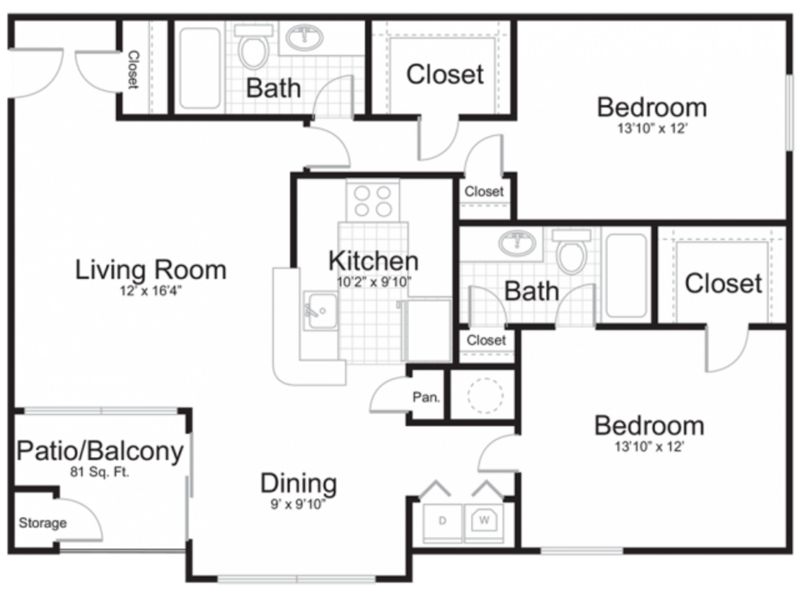 Boasting spacious one, two, and three-bedroom floor plans which feature luxury plank flooring, chef inspired kitchens and ample storage in each apartment home. 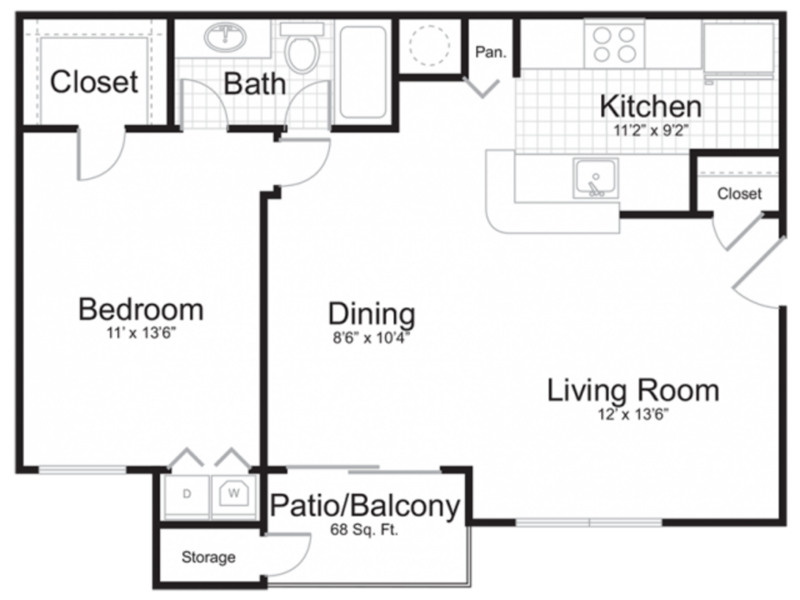 This spacious one bedroom apartment home features a galley style kitchen with a separate dining area and private storage on the balcony. This floor plan features a large living area, a private dining nook and a breakfast bar providing you with the perfect space to entertain. 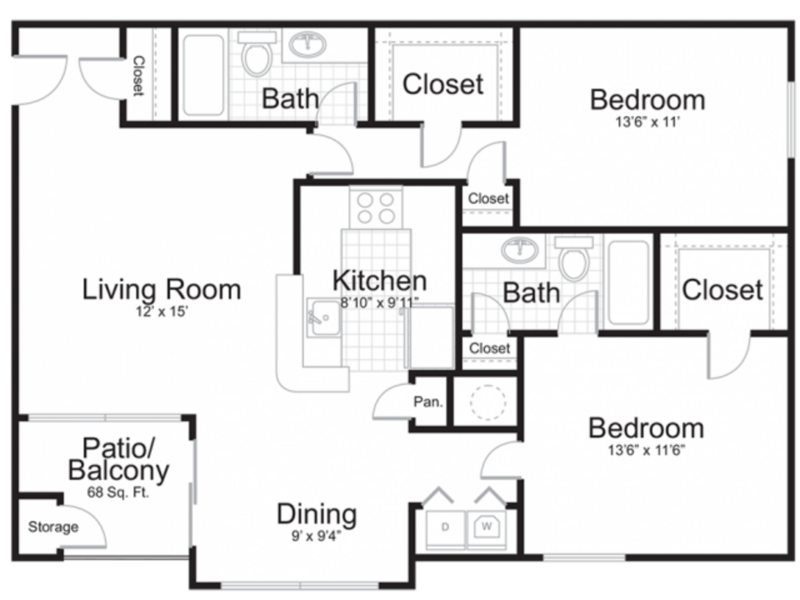 This spacious two bedroom apartment home offers tons of storage space, a large living area and a chef inspired kitchen with a breakfast nook. This two bedroom apartment home is an entertainers dream providing a separate dining nook, a breakfast bar and a private patio off of the living space.